Why does it matter in how many instalments you divide your yearly income? Unless you are saving nothing it shouldn't matter much. Perhaps some small differences in taxes depending on where you live. If your spending/budget is based solely on "spend as little as possible," then it doesn't matter. But if your spending/budget is influenced at all by your income, then it can make a huge difference, because your budget would be based on a smaller number and then these checks would seem like a "bonus" that you could either save or do something substantial with. Even if your spending isn't influenced by it, there is the psychological impact of getting something that seems "extra" even though you've earned it and it was yours all along. And I'm just speculating here, but let's say you had that salary spread out among all your checks and you saved the same amount each month, the impact of seeing your savings grow little by little may not be as exciting as seeing it take two big leaps in the year. So...from a pure practical perspective, it doesn't/shouldn't matter. But from an emotional perspective, it does/could. I think what Grant is trying to say (and I agree with him here), is that infinite is the wrong word to use. The appropriate thing to say in this situation is, "His odds of winning increased finitely." The statistical odds of winning are now measurable and greater than zero, but still so quantitatively minute, they might as well still be represented by the pure absence of quantity as opposed to the boundlessness of the infinite. As someone who budgets each paycheck as it comes in and gets paid biweekly, 10 out of the 12 months I get 2 paychecks. I use these two paychecks to budget my monthly expenses for the upcoming month and then bank the rest. In the 2 months that I get extra pay checks, I get to save more. I'm not sure why it's confusing for someone to see why people enjoy this. You're conveniently ignoring monthly bills. Except it's not finite. It is immeasurable. You cannot measure the difference between zero and one in this scenario because one is infinitely larger than zero. Therefore, infinite IS the correct term to use, not finite. And I'm another one! Budget based on a 4 week month. Extra checks are stashed. 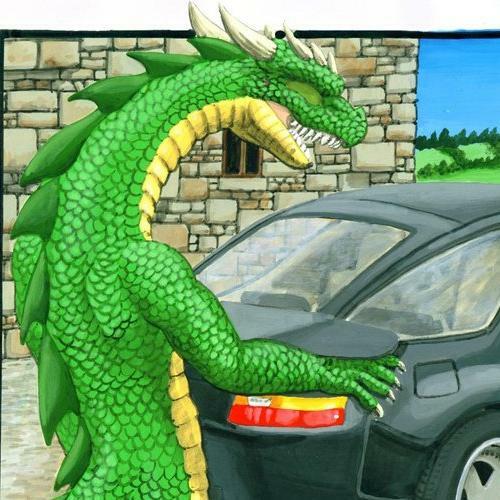 dragoncar . . . I don't have a 2016 calendar handy (and I'm lazy, slow on the uptake) . . . what happens in 2016? If people spend what they get (or more), an extra paycheck in a month makes no difference, because they live paycheck to paycheck. If people have become disciplined enough to do a monthly budget that's based upon a typical month's budget, then the two extra paychecks are just that, extra money beyond the normal budgeted needs. If people have become disciplined enough to totally control their spending, they are no longer extra paychecks, they're just part of the plan. And if the odds of winning the $200 million powerball jackpot were 1:1, I might consider agreeing with you. The issue with your approach is that one is still a finite number. The gap between nothing and one is still only one, not infinity, and there are measurable statistical odds of winning. Gray Matter said . . . .
"Even if your spending isn't influenced by it, there is the psychological impact of getting something that seems "extra" even though you've earned it and it was yours all along. And I'm just speculating here, but let's say you had that salary spread out among all your checks and you saved the same amount each month, the impact of seeing your savings grow little by little may not be as exciting as seeing it take two big leaps in the year. So...from a pure practical perspective, it doesn't/shouldn't matter. But from an emotional perspective, it does/could." Guess I'm still in that camp. 4 week monthly budget includes all living expenses, savings and investments Re: The emotional perspective, I still think of it as a treat of sorts. Yes, I get all happy when I can add that $ to the stash. ...If people have become disciplined enough to totally control their spending, they are no longer extra paychecks, they're just part of the plan. The problem here is that you've created an example that is not numeric, but binary logic, so that the concept of infinity (or indeed, of percentages) simply does no apply. The only possibilities are true|false. I don't budget in great detail maybe that's why it doesn't matter to me that much how in how many pay checks is my income divided. I'm paid once a month and I know that statistically I save about 50% (yearly average) after buying whatever I want/need to buy. That's good enough for me. It's similar to teachers who have their pay checks distributed though the year instead of only when they work. If people have forsight and plane ahead, it doesn't matter, but some people don't have the ability to, and they'll need a consistent amount coming in. I never use the 'budgeting' option for my electric bill, which varies widely in winter vs summer (or it hopefully used to, I love the attic being properly sealed!). I always had some extra 'slush' in my spending that I DIDN'T spend right up to what I made each month, so it was never an issue, even when I had a $600 electric bill one month last year. That puts me in the camp with albert above, but that's only one way of handling money. Some people spend every dollar they make.. Some of them are mustachian (spending it on debt repayment, or toward a specific future budget goal, into an investment account, etc...). Other people don't budget' at all, just evaluate purchases as they come up, and at the end of the month sweep whatever is left (minus a buffer) into their investment/debt repayment. Regarding "extra" paychecks - I get them twice a year(including this month - yay!) and like them a lot due to the way I keep records. I keep a monthly financial accounting/retirement journal, and it's just kind of cool to see a big spike in net worth. It also gives me a funny looking income graph on Mint, which in addition to other random income, makes my monthly income look wildly unstable to an outsider, and I find that kind of entertaining. Everyone who gets paid biweekly will eventually get a year with 27 pay periods. Which year that happens depends on your individual schedule. I've heard anecdotally that some companies just eat the extra paycheck rather than go to the trouble of mitigating it (paying less per paycheck or skipping a paycheck) although I find that hard to believe. Edit: in some cases mitigation wouldn't make sense because you are being paid at the end of two weeks for two weeks worked. So to could depend on whether your employment agreement is for an annual salary, a biweekly salary, etc. luckily this happens rarely. every 7 year I want to say? I've heard companies mention a longer number of weeks in a quarter on a conference call to explain earnings anomalies before. I don't know how much to buy into it and how much it's just a convenient excuse, though. I used to be in the same boat but then we switched to bi-weekly which created 2 months where I had to "deal" with the "extra" $$. On average, I'd be getting the same per month, but in reality, 10 out of the 12 months were less. It doesn't matter since we saving every month, but it does matter to the people who are living paycheck to paycheck. Some people spend every dollar they make.. I guess this is where my wife and I are. We don't spend every dollar but we do budget every dollar (down to the penny). That way, we really know where our money is going. We're much earlier on the age/money curve though, and I can only assume it won't be as important when we have a bigger nest egg/reduce our spending even more! How many fucks I give that a phrase many people here seem to understand intuitively may be mathematically undefined = limit of 1/x as x->infinity. We're having one of these 27 paycheck years at my company. What they did is to divide our annual salary by 27 instead of 26, so our paychecks are lower than they were last year. They are giving us 2 extra vacation days to placate some of the people who are unhappy about this. I have never run into this situation before, so it's all new to me. I'm interested in the 27 paycheck phenomenon (never thought about it really) so I ran my calendar out several years. Turns out in 2021, if i'm still working for this department, i'll get three paychecks in January, July, and December. I'm used to two 'extra' checks a year here. You get paid as you otherwise would but health insurance benefits and one of the retirements aren't paid out. Additionally, leave isn't accrued on the extra paychecks. Since i'm a non exempt employee and work variable hours, these paychecks are extra to me even though I plan for them in my income/expenditures spreadsheet. A co-worker of mine is looking for a new dinig table. He went to furniture store and described some of the features the table must have and the employee pointed him to some 400€ table including chairs. He said he wanted a grown-up table, told the employee to leave and decided to buy a 3000€ one. 3000€ for a freaking table? Something a 12 year old can build all by himself? Probabilities relating to events occurring in the physical world can never truly be 0 (or 1). In this particular example, one is excluding that one might be gifted a lottery ticket, or find one on the ground, or sleepwalk and buy one without realizing it. These are all rare events but that doesn't matter at all, they make the probability nonzero. There, now we don't have to have an argument over how appropriate the colloquial use of the word infinite was in that one context(hint: this was the only thing y'all disagreed on, nothing is gained by determining who is right). Probabilities relating to events occurring in the physical world can never truly be 0 (or 1). In this particular example, one is excluding that one might be gifted a lottery ticket, or find one on the ground, or sleepwalk and buy one without realizing it. On the contrary, in the physical world the fact that any given lottery ticket either is or is not a winner is perfect binary logic. How you obtained it is irrelevant. The real problem IMO is it's a misleading and illogical use of math to prove a point. "1 is infinitely larger than 0" is a statement that considers only the percentage difference between two numbers, but it's ignoring the absolute difference (1 - 0 = 1), the denominator (you're actually looking at 0 versus 1 in a very-large-number), and whether the difference is statistically significant. It's cherry-picking only the pieces of math that support your conclusion. You might get in an accident when you drive your car. No, I'm not going to consider the actual odds and probability of damage/injury, I'm just going to say that the odds are infinitely higher of getting into an accident if you drive versus if you do not. If you're walking, you're going to see money left on the ground but when you're driving you'd never see it. So you have an infinitely higher probability of finding a $100 bill on the ground if you walk to where you're going versus if you drive. You even have an infinitely higher probability of finding a briefcase containing 1 MILLION DOLLARS! Can we please drop it and get back on topic?? You don't have to read the thread. But aren't we supposed to help people get rid of clutter by spreading the word? Isn't it hypocritical if we can't keep our own message board threads clutter free???? Yeah we never go off topic in this thread. Want to start a side thread for lotto maths? I think everybody is pretty argued out. But it's not like there's a strict stay on topic policy in this forum, which is 1) broad by nature anyways, and 2) crawling with quantitative types. I'm curious what the data is supporting your second claim. As a child, I never thought to make my own table during Thanksgiving to not have to sit at the kids table. If I ever become a mother, I think I'll set out an unassembled table for the kids. Aside from dimensions, what makes a table a grown-up table? Yeah, I'm not even sure how I would describe "features my dining table must have." Uhh... a flat surface large enough for several people to eat from? Four legs? Perhaps you want a specific shape, but what other kind of "features" do tables have? Had some friends around for a BBQ, and mentioned we were getting a new car. All of them wanted to know what was wrong with our current car! They know it's the same one ive had since we started uni together, so they're aware it's old. No comments about how spending money is good. They've all stayed at home saving up deposits for houses, while my partner and I moved out of home (so we could live together). I seem to be quite out moustached by my friends! I would just like to add something about (emotionally) why those two paychecks are great (at least where I am). 401k and health benefit premiums are divided by 24 to determine how much is taken out of each paycheck, so the extra paychecks those two months are much (hundred of dollars) larger, which just feels like a bonus! Also the mint thing is big, love to see those spiky months. Who says? The clutter Nazis? Some of us think that a reasonable amount of clutter acts as a spur to creative thought. The digression re lottery tickets seems a good example. He wants a table wich is supported more in the middle, so that nobody has a table-leg between his knees, he also wants a pull-out table, if they host several people. It also has to fit in with their current furniture, color and stuff. Yeah, wow. We bought our gigantic beautiful glass kitchen table at a used furniture store for $170, and I thought that was a bit spendy and excessive. It has the features you just described! Although it does have a nice feature too of "horrifies you to think about moving a giant piece of loose glass when you move at the end of the month".